crafts | Oh Yes They Did! 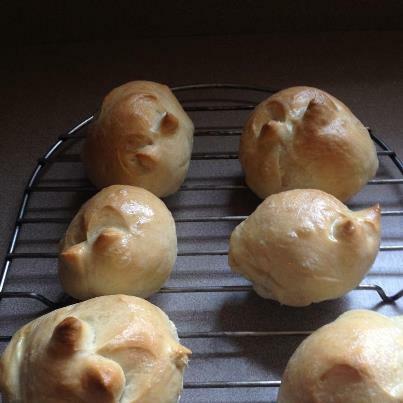 If you’ve been on Pinterest anytime in the last month, then you had to have seen this cute idea for Easter Bunny Rolls being repinned a million times. Needless to say, myself and all of her friends got a good laugh out of her Pinterest Fail. 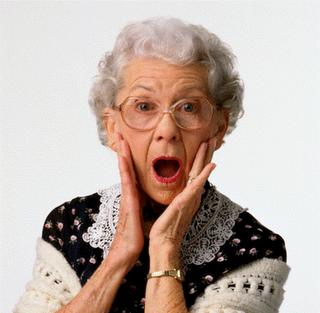 It’s OK Cuz….I still love you and your cooking. I was the kid who was allergic to regular chocolate and had to get white chocolate every year in my basket. My parents tried to say I got “special” chocolate, but my brother and the neighborhood kids all made fun of me. Yayyyy! 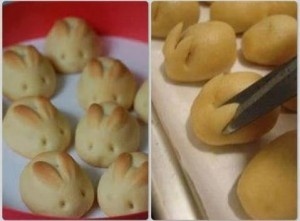 Happy almost Easter everyone! 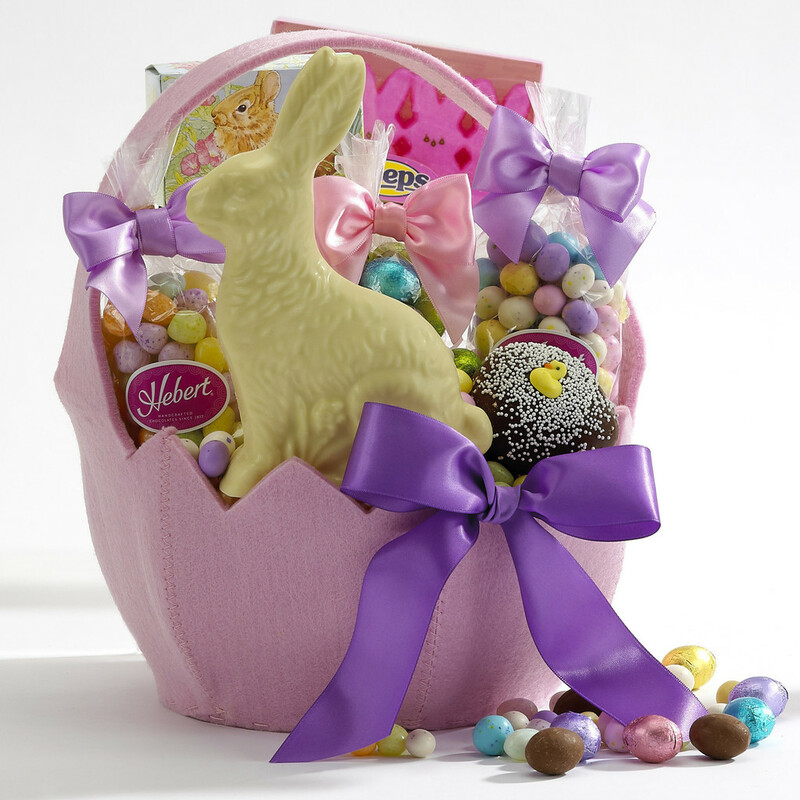 It’s time to get those Easter baskets together, and I know lots of people look for great non-candy items for their baskets. I get that. My daughter is getting older so now she wants things like i-tunes cards, gift cards, nail polish, accessories, etc…however, I found some real winners today when I went online to see what other people put in their children’s baskets. By the way, none of these are a joke either…people actually suggested these. 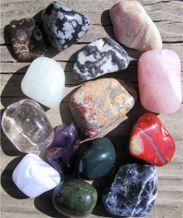 Polished Rocks…What kid WANTS polished rocks?!? 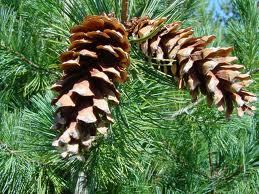 Pine Cones…because your child can make cute crafts out of them. 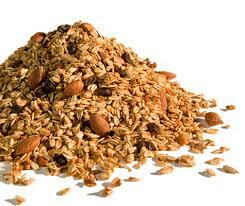 Yeah, OK.
Granola…just put it in a bag and tell them it’s what the Easter Bunny eats. I’m sure they will be thrilled. 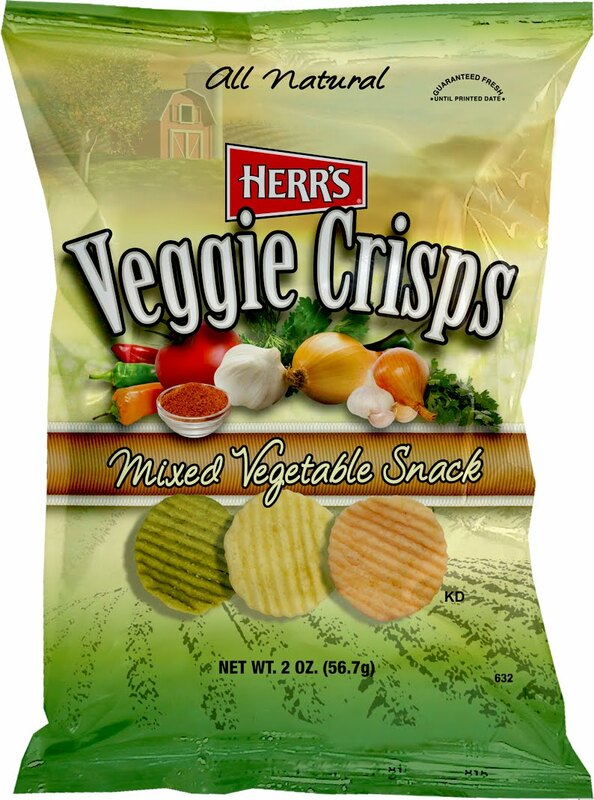 Veggie Crisps…because every kid wants this in their basket. They also said you could cut up real, fresh veggies if you have time. Thrilling. 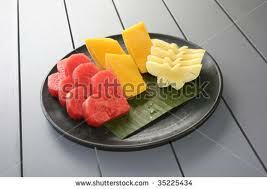 Fresh fruit cut into cute shapes. “They’ll forget all about the candy!” No they won’t! 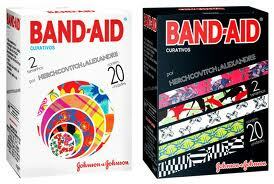 Their “very own” boxes of band-aids. I guess so they don’t have to bother you with that whole “I’m bleeding” thing while you secretly scarf down your own hidden candy! 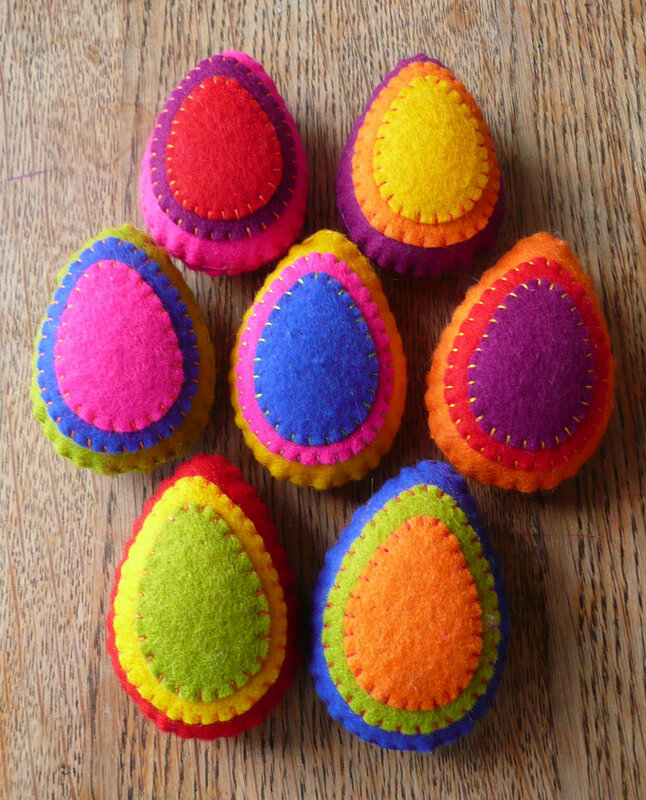 Wool/felt Easter Eggs…because these will provide minutes, er, hours of entertainment. 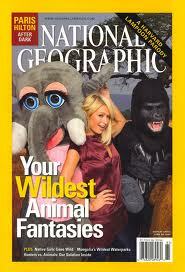 You can cut out animal pictures from National Geographic, and put them in the Easter eggs. After the hunt, the kids can sort them as to where they might live. Wow, that sounds fun. 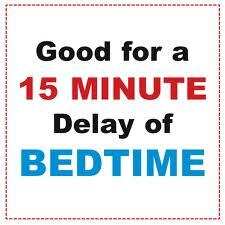 An extra 15 minute bedtime delay coupon…how generous…they get to watch half of a show on Nickelodeon. Buy a few puzzles and put all of the different pieces in the eggs. 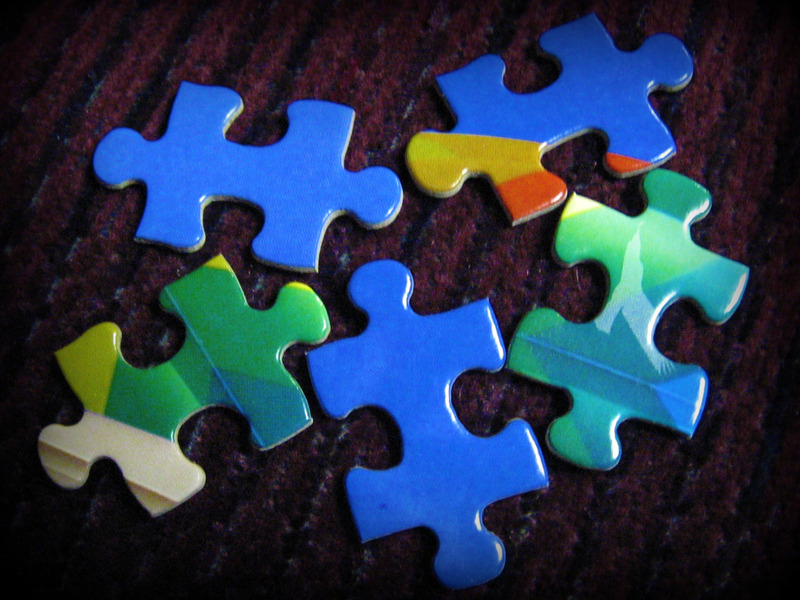 After the hunt, give the kids the boxes, and have them swap pieces until they all have their “own” puzzle pieces. Then they can do the puzzles. I have 3 nephews and 2 nieces. This would cause a meltdown of epic proportions. Trust me. 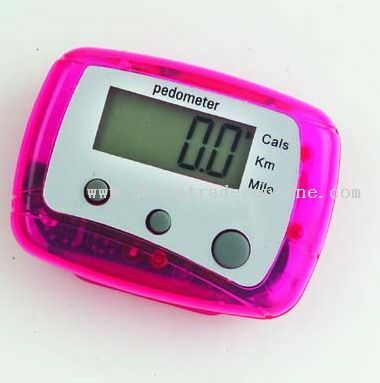 A pedometer…so they can walk off all of that candy they didn’t get! Come on…. 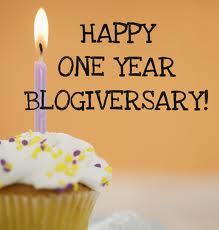 it’s one stinking day a year people! Give them a some candy and then other things that actually enjoyable! Happy Easter everyone…and my deepest condolences to the kids who get any of the aforementioned items. Your parents are about as fun as watching paint dry. 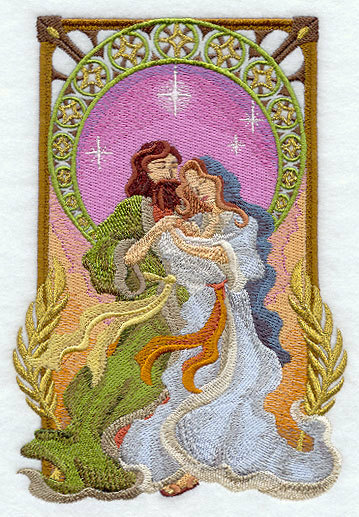 In honor of Good Friday, I figured I’d put up something “Holy”….so look at what I found on Etsy today…A Jesus, Mary, and Joseph Embroidered Kitchen/Bathroom Hand Towel. The seller can put this on basically any color hand towel you’d like or she can embroider this onto the following: Terry Bath Towels, Pillow Case, T-Shirt, Laptop Case, iPad Cover, Sweatshirt, Tote, Quilt Squares, ect. I’m thinking if this out, you really shouldn’t wipe your hands on it! Wiping your hands on Jesus, Mary, and Joseph has got to be a giant no-no. I’m not the most religious person, but if I went into someone’s bathroom, and this was my only option on which to dry my hands, I’m using my pants instead. If I have shorts on, then I’m forced to use their shower curtain or something…but not Jesus. It just seems wrong. If you’d like to make your friends squirm when they are looking for a place to dry their hands, then scoot on over to Etsy and you can get one for $20.00. Jesus, Mary, and Joseph Hand Towel…sigh…I can’t even call you Shitsy…that’d be worse than drying my hands on you. You’re killing me Smalls…you’re killing me! Wishing you all a beautiful Easter Weekend. 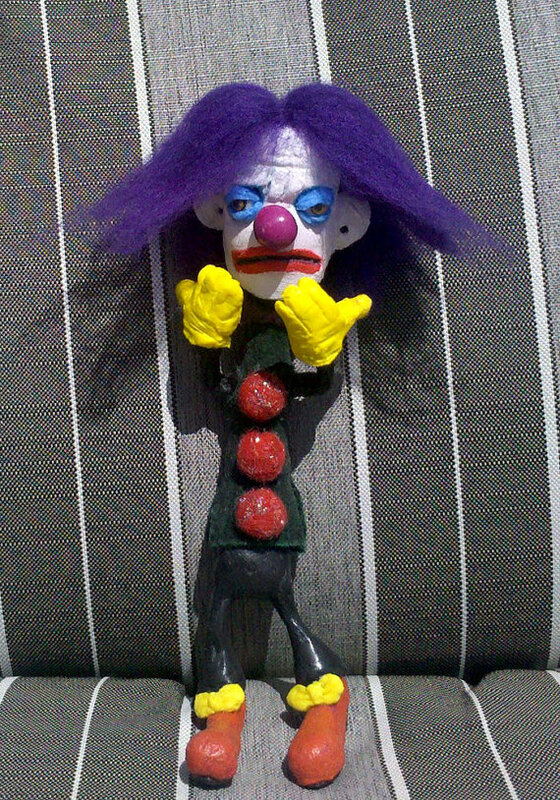 Look at what I found on Etsy today…Andre the Clown. Are you tired of your kids asking you again and again to take them to the circus? 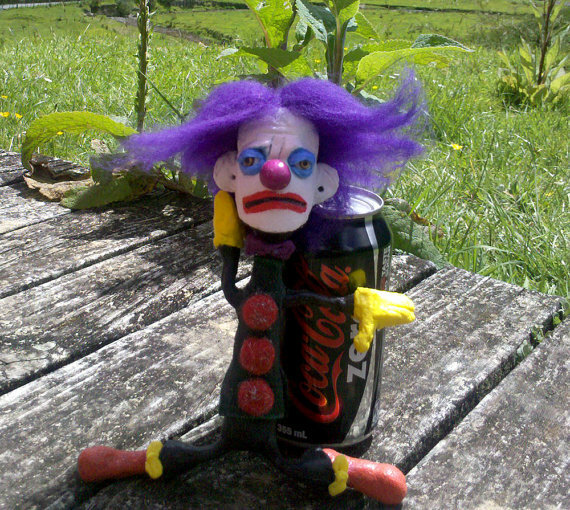 Well, I think I found your cure-all…Andre the Clown! Think of it as a year round “Elf on a Shelf”! 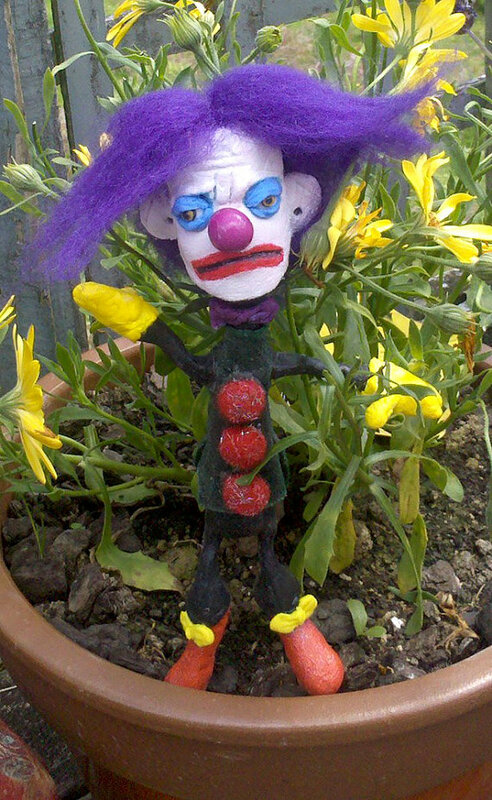 You can keep on leaving this around and before you know it your children will be so terrified of clowns that they’ll never beg you to take them to the circus again! Hey kids…do you like flowers? It’ll cost you $30.00 a pop for Ringling Brothers tickets, plus gas to get there, parking, food, and of course all of the trinkets your kids will want. That could be an expensive day! Take it from me, we spent tons of money to bring my daughter to the circus when she was 3…front row tickets and all the trimmings. 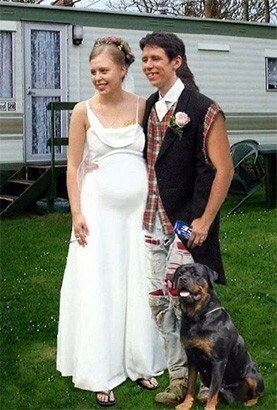 Do you think she remembers that day whatsoever? OF COURSE SHE DOESN’T!!! If we had gotten Andre the Clown, she’d remember it forever though, I bet. Just trying to help you all out! Andre the Clown…That’s (not) Shitsy!